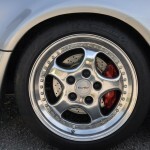 The Porsche 964 Turbo 3,6 is in any case one of the most sought-after models of the Porsche 964. 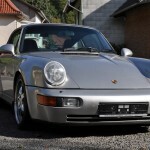 The 964 Turbo was late and came only in 1991, first with the slightly modified 3,3 Liter engine of the 930 Turbo. 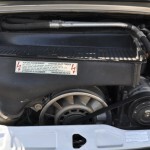 In 1993 the 964 Turbo got a more modern engine, based on the 3,6 liter with double ignition. The power and torque went up to 360 PS and 520 Nm. The result was outstanding. 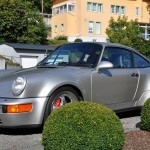 The 964 Turtbo 3,6 on offer was delivered to the client in Germany in 1993 through the Porsche Tourist Delivery Program. The car was exported immediately to Canada where it spent ist whole life. 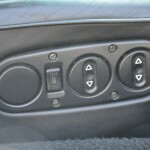 It is a pristine car with only 76.000 km. The quality of the technique and the interior are superb. 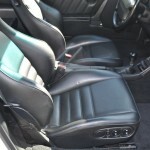 The black interior withe the superb sportseats looks like new. 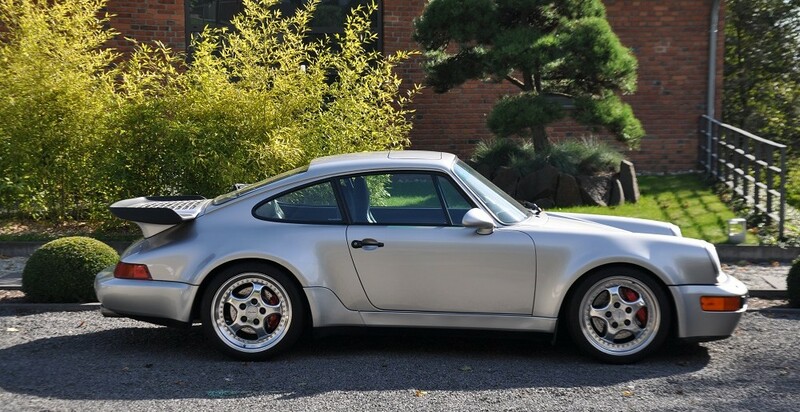 This 3,6 Turbo in the rare but very elegant Color Zermattsilver is a beauty but can be a biest on the road. Price on request. Car has full VAT, for export netto.